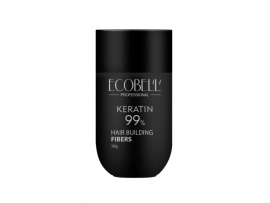 Ecobell 99% Keratin hair building fibers, the principle of how Ecobell works is simply, and simply brilliant: Through electrostatic charge, the individual Ecobell Fibers combine with your own hair and thicken it immediately. 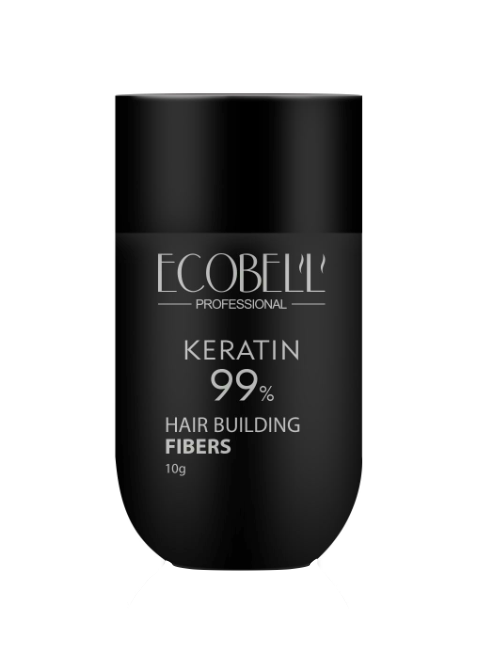 Ecobell fibers is completely natural, colorfast and nontoxic, and works on all types of thinning hair conditions, for both men and women. keratin hair concealing microfibers is a finely textured keratin fiber substance that binds to your existing hair and forms a complete layer of hair above your scalp where real hair is. It bonds electrostatically to thinning, fine and semitransparent hair, producing an incredible thickening effect in a matter of seconds and concealing the shiny areas of the scalp. Hair immediately looks thicker and hair thinning is no longer evident, meaning that the user no longer has to worry about unsightly thinning when around others, whether in the workplace, at important ceremonies and events or under bright lights. 1.Wash and Dry hair. 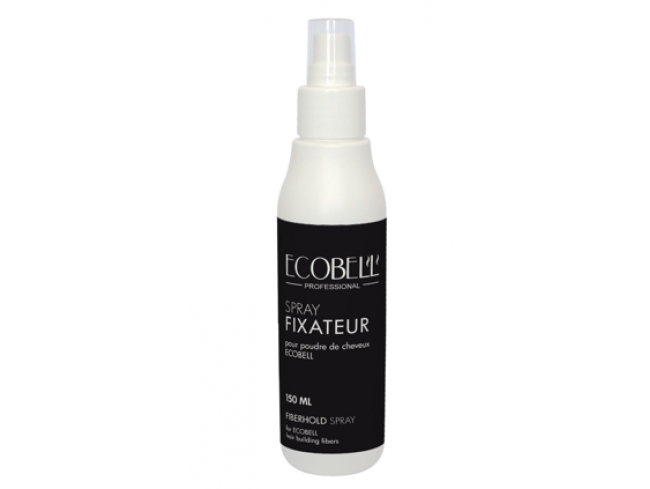 After styling, sprinkle Ecobell fibers over the thinning areas until the scalp is no longer visible. 3. Apply the fixing spray to bind the Ecobell fibers.